Summary betfair Live casino shares the Playtech feeds (both European and Asian) with a number of other Live casinos (eg bet365 and William Hill Casino Club) and offers a similar experience, with a focus on providing a welcoming experience for new players. Table limits are comfortably low (minimum stakes start at just 50p) and betfair offers lots of tables, so there's no waiting around. 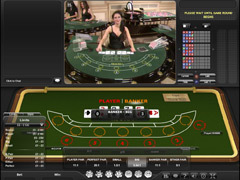 Gameplay is straightforward, with comprehensive statistics and hand histories on offer and betfair allows players to interact with the dealers and other players via a live chat window. Betfair offers Roulette, Blackjack and Baccarat, and also the Asian-focused Sic Bo, with an excellent upper table limit of £1,000 - clearly aimed at the high rollers! Table limits Minimum £1, Maximum £1,000. Game speed Each game takes an average of 90 seconds, giving 40 games per hour. 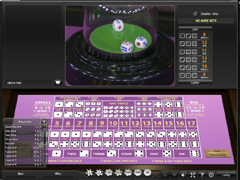 Summary Live Sic Bo is a recent addition to betfair's Live Casino, and they deserve praise for offering this mainly Asian-focused game to a worldwide audience. The high table limits also place this squarely in the realm of High Roller Sic Bo players. Table limits Minimum £5, Maximum £100. Game speed Each game takes an average of 56 seconds, giving 65 games per hour. Summary With 37 available tables, players should always get seated, and with 65 games per hour players can enjoy lots of Baccarat. Summary Betfair Blackjack is a good place for players who want to enjoy some social gambling, with low limit stakes accepted and chatty dealers to interact with. Game speed Speed Roulette offers two spins a minute, giving a fantastic 120 games per hour! 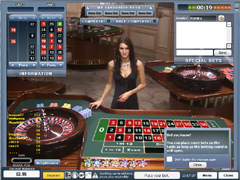 Summary With a great variety of games and, in Speed Roulette, an extremely quick paced Live Roulette, betfair gives itself an edge over the competition. Add in low limit stakes of just 10p and betfair is a great choice for anyone looking to try Live Roulette for the first time.